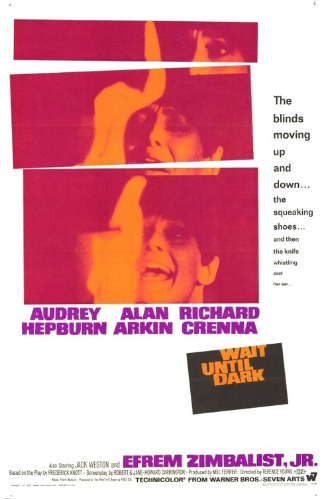 Wait Until Dark – Did You See That One? Susy Hendrix (Hepburn) is still learning how to maneuver through life after losing her sight in an auto accident. When three men (Arkin, Crenna, Weston) begin to harass her in search of a drug filled doll, she’s faced with a new kind of fear. Now she’s trying to defend herself from men who are willing to do anything to get the doll. This thriller is based on the stage play of the same name that was written by Frederick Knott (Dial M for Murder). The screenplay was written by Robert Carrington (Fear Is the Key) and Jane-Howard Carrington (Kaleidoscope). The film was directed by Terence Young (Dr. No). The film features an excellent cast that includes Audrey Hepburn (Roman Holiday), Alan Arkin (Argo), Richard Crenna (The Flamingo Kid), and Jack Weston (Dirty Dancing). This is a nicely written story, built around a small group of characters with very simple motivations. The characters in the movie all have unique personalities, and none of the men come off like a simple thug. The writing for Hepburn is also very nicely done. Her role is complicated and believable as she creates the world of someone who’s newly blind. The dialogue is great, and the twists work perfectly. The film also pays off with an excellent conclusion. Overall, this is a wonderful screenplay that does everything it needs to do. The acting in this movie is awesome. 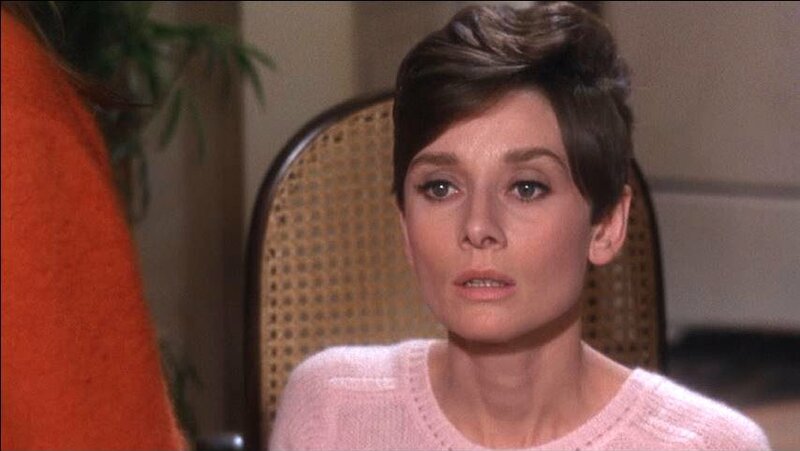 Audrey Hepburn does an incredible job portraying a blind woman in fear. Her talent shines as she runs the range of emotions, from sheer terror to happiness. 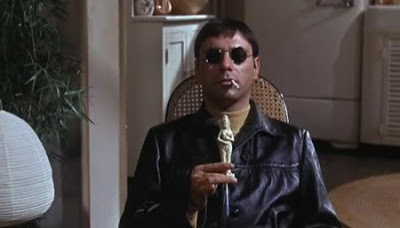 Alan Arkin does a great job with his role as well. His character was definitely designed to be the most ruthless, and he makes that happen with his acting. 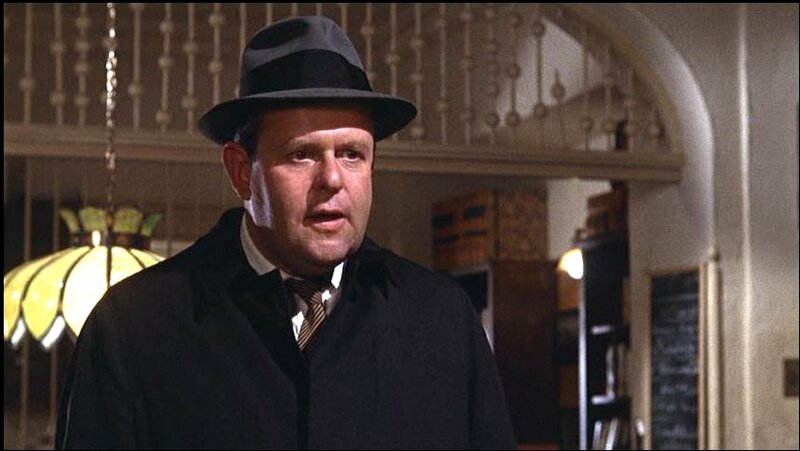 Richard Crenna and Jack Weston also do great work in their roles. Their roles were both far more complicated than a simple thug or henchman might have been. Overall, this movie features great acting from everyone in the film. This movie uses light and shadow excellently. The visuals seem to acknowledge the material nicely, adding to the suspense. 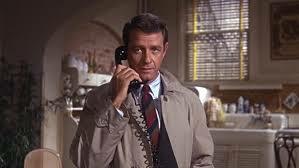 The score, by Henry Mancini (Charade), is also nicely written and adds to the overall feel of the movie. In addition, all the other aspects of the movie come together nicely, making this a memorable thriller. If you’re a fan of Audrey Hepburn, this is a must-see movie that won’t disappoint. She earned an Academy Award nomination for Best Actress in a Leading Role for her work. I would also suggest this to fans of Alan Arkin, Richard Crenna, and Jack Weston. This is a slow burn at times, that entices with the cat-and-mouse nature of the story. The movie should make the list of every fan of thrillers. I give this one 5 out of 5 stars. This sounds amazing. I’ve never even heard of this movie. 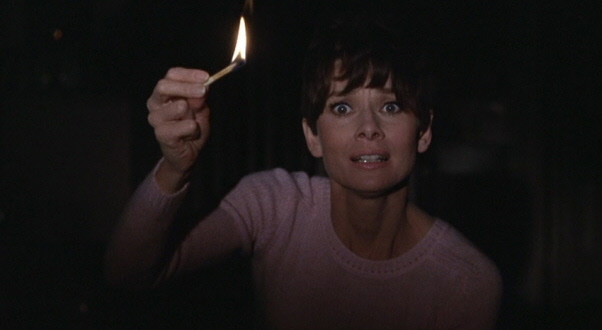 Why is Hepburn holding up a match if she’s blind? Is she only partially blind? Kinda funny. Check out the movie and the picture will make total sense. It’s an awesome scene. Pingback: Breakfast at Tiffany’s | Did You See That One?